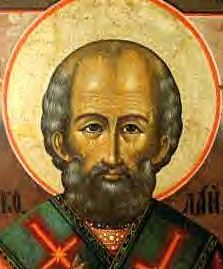 Nicholas (Nikolai, Nikolaus, Niccolo, Miklas, Николай) was born in the third century in Patara, a village on the southeast Lycian coast on the Mediterranean Sea in what is now Turkey. Though the exact date is not known, his birth is believed to have occurred around 275 AD. His birth place, Patara, had a population of about 15,000 at the time. Of prominence was the local temple where the ancient Greek goddess Artemis was worshipped. There also existed an early Christian community which may have been started by the Apostle Paul, who boarded a ship in Patara on his third missionary journey to Tyre. When Nicholas was still quite young his wealthy Christian parents, Epiphanius and Johanna, died during an epidemic. Sensing his spiritual destiny, Nicholas used his entire inheritance to help the desperate, the sick, and the suffering. He often went about it in secret, expecting nothing in return. On one occasion, a poor man's daughters, having no dowries, were destined to be sold into slavery. Mysteriously, in three different instances a bag of gold appeared in their home, thus saving them from a cruel fate. There are three ancient historical accounts of this event. As a young man Nicholas made an extended pilgrimage to Jerusalem and the Holy Land, where he lived for awhile. On his return to Lycia, his home province in Asia Minor, he came to settle in Myra, the regional capital, now known as Demre, Turkey. In spite of being a layman and still very young, Nicholas was elected to the position of Bishop of Myra by the resident clergy. Two historical sources substantiate this fact. Bishop Nicholas became known throughout the land for his humility, his abstinence from worldly pleasures, his generosity to those in need, his love for children, his defense of justice, and his caring for seafarers and prisoners. One of the oldest recorded episodes from the life of Nicholas is his saving three condemned innocents in Andriaki from the Roman Emperor's executioner. He is also known for intervening in favor of the unjustly jailed. Other historical accounts tell of Nicholas journeying to Constantinople (now Istambul) to plead with the emperor for a reduction of taxes for the people of Myra. Yet others tell of Nicholas saving his flock from the famine of AD 311 - 312 by obtaining sufficient measures of wheat from the grain ships bound for Alexandria. Under the Roman Emperor Diocletian, who ruthlessly persecuted Christians, Bishop Nicholas suffered for his faith, was exiled and imprisoned, but eventually released. Not until Emperor Constantine's rule (324 - 337 AD) was Christian worship legalized. In 325 Emperor Constantine called the Council of Nicaea (now Iznik), which was the first ecumenical council ever held. More than 300 bishops from all over the Christian world came to participate in the debate. Bishop Nicholas' name appears on the oldest Greek list of attendees and on five other historical documents. Nicholas so forcefully argued for the doctrine of the Holy Trinity that he incurred being stripped of his office and thrown in jail. Eastern church lore has it that during the night Jesus, along with his Mother Mary, appeared to Nicholas: Jesus handing him the book of Gospels (see icon illustration on the left: Jesus leans down from a cloud and bestows a blessing and the Holy Book), and Mary returning to him the bishop's stole which had been taken away from him. Thus Bishop Nicholas was reinstated by divine intervention. Of foremost historical significance is the fact that the council of Nicaea adopted Nicholas' statement about the Holy Trinity, which forms part of the Nicene Creed, still said in churches today. Nicholas died December 6, AD 343, in Myra and was buried in his cathedral church. Details of his death are not known. In addition to being celebrated in music and song (see above), Holy St. Nicholas is also a favorite subject of iconography throughout art history. These visual renditions demonstrate the close interaction of faith and culture and its impact upon society. 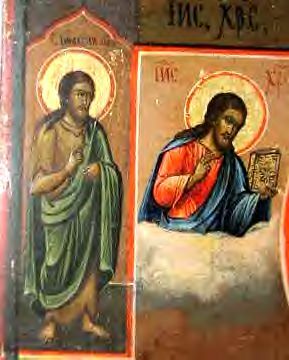 Icons are quite literally meant to be 'Windows Into Heaven' and to instill in the viewer an attitude of prayerful reflection on the Divine. Icons were not only displayed in churches, but are given the place of honor in many homes, thus serving as a daily reminder to live in strict accordance with Christian virtue, values and duties. Icons are also made to glorify the heavenly abundance by using precious metals, enamels and/or gemstones for their encasement (Oklad, Riza) - see a gilt-silver and enamel clad Russian 19th century icon from a private collection on top of this page. Sacred art such as icons can be a source of solace to the sorrowful. Miraculous properties have been attributed to certain famous icons at different times and places. Over the centuries, the above referenced historically traceable facts of Nicholas' life have come to be greatly magnified by devout believers. Soon after Nicholas' death and for the following 750 years his tomb in Myra was an increasingly popular pilgrimage site, as reverence for him spread throughout the Christian world. In 1087 the bones of Nicholas were transferred to Bari, Italy, where two years later Pope Urban II consecrated a shrine to house the relics. 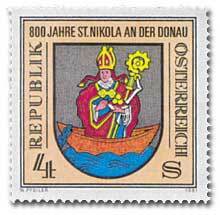 Many miracles were attributed to his relics, and Nicholas soon attained the status of sainthood. The Christian veneration of Saint Nicholas continues undiminished into the present day, but is particularly prevalent in the Orthodox faith. In Russia, the sacred art tradition of icon painting, adopted from Byzantium when Russia was converted to Christianity in 988 AD, has endured for centuries, even through the Soviet era repression, and continues to be studied and practiced by young artists today in important Russian Lacquer Art centers like the villages of Palekh (Палех), Kholui (Холуй) and Mstera (Мстера). St. Nicholas is named the patron saint of more causes and communities than any other saint, among them are: charitable fraternities and guilds, children, sailors, unmarried young women, merchants and pawnbrokers, and the countries of Russia and Greece, as well as the cities of Moscow and Fribourg (Switzerland). Parents the world over still name their children after him, with 'Nichole', 'Nicoletta' and 'Nina' being examples of the female version of his name. 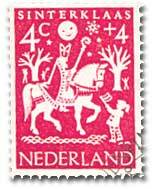 Last but not least, the persona of the Fourth Century Bishop Nicholas of Myra, protector of the poor and of the children, eventually gave rise to the 19th century Dutch 'Sinterklaas' and subsequently to America's own jolly 'Saint Nick' or 'Santa Claus'. It is of particular note, that non-Christian cultures are increasingly adopting the 'concept of St. Nicholas'. Although the vehicle for such cross-cultural adoption has been primarily a commercial one, we remain optimistic that certain benevolent principles contained in this concept, such as compassion, mercy and generosity, have also managed to propagate in the process. The InstaPLANET Cultural Universe wishes you and yours a healthy, insightful and peaceable 2009 !